David Josephs musters various arguments for their inauthenticity. An interesting complement to the series by Jeff Carter appearing here. A critical overview of Dale Myers, the ABC network's 3D animation expert who produced a flawed recreation of the Zapruder film. An analytical timeline which demonstrates the difficulties with the Warren Commission's story about Oswald's alleged purchase of the Mannlicher-Carcano. Author Pat Speer discusses the misaligned medical evidence in the JFK assassination and the claim made by Howard Willens that Robert Kennedy obstructed the Warren Commission's access to the autopsy materials. 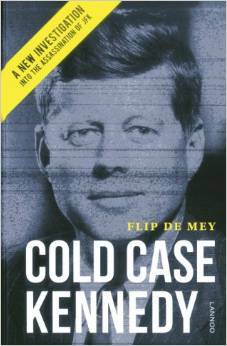 Flip de Mey’s well written and entertaining book makes valuable contributions. But in the end it must be said it is far from completely satisfactory. However, there is great material in the book and students are encouraged to read it, and then decide for themselves, writes Gary Aguilar. About the first fifty pages of Undeniable Truths is pretty much undeniable. The next fifty pages are a decided mixture of truth and question marks. Most of the last 200 pages do not at all merit the title. In fact, that part is, in large measure, nothing more than conjecture. And much of that conjecture is ill-founded, concludes Jim DiEugenio. Martin Hay reviews an article published by Haag in AFTE, about which he concludes: "It is little wonder ... that Lucien Haag limited his defense of the 'Magic' Bullet Theory to a (misleading) discussion of Governor Connally's wounds. After all, no matter how impressive his credentials and extensive his experience, there are some problems that no man can make disappear."